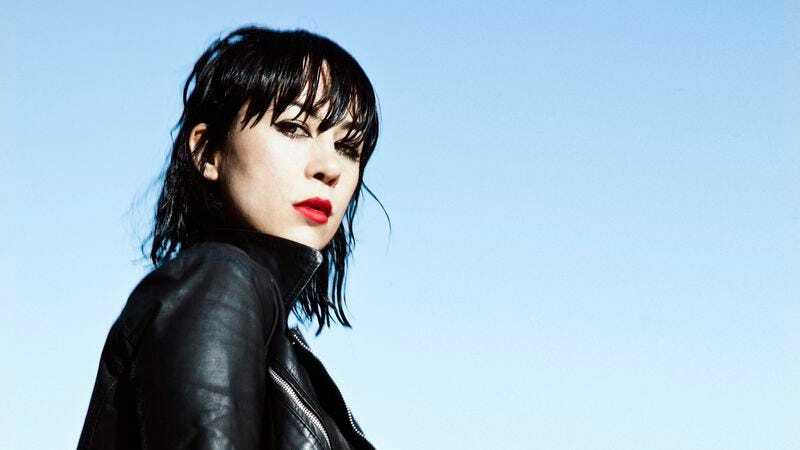 When Dee Dee Penny re-emerged with a new Dum Dum Girls album this year, her eyes had wandered a bit. Whereas her two previous full-lengths had mined the classic pop and underground sounds of the ’60s and ’70s, Too True took some inspiration from classic alternative of the UK. The press materials cited Siouxsie And The Banshees, The Cure, and The Stone Roses, but album standout “Little Minx” makes a rather convincing case for The Jesus And Mary Chain too. Dum Dum Girls have never really done bombast; the band’s music tends to favor airy atmospherics, not propulsive rock. That changes in “Little Minx” and its almost martial, synthetic-sounding drumbeat and a palm-muted guitar. At two and half minutes, it’s the second-shortest song of the 10 on Too True, and the leave-’em-wanting-more adage applies: At the 1:45 mark, that palm-muted guitar kicks into massive-sounding three-chord punk riff for nearly 30 seconds before melting away, leaving only that inhuman beat and Penny’s voice. It’s a sucker punch of a song, arriving in the back third of album that otherwise only hints at such ferocity. The subsequent song, “Under These Hands,” settles back into more familiar Dum Dum Girls groove: reverb-heavy, midtempo dreaminess, which grows more pronounced during the slow shuffle of the album closer, “Trouble Is My Name.” Tapping the brakes in the album’s final two songs makes sense; “Little Minx” can’t be topped.